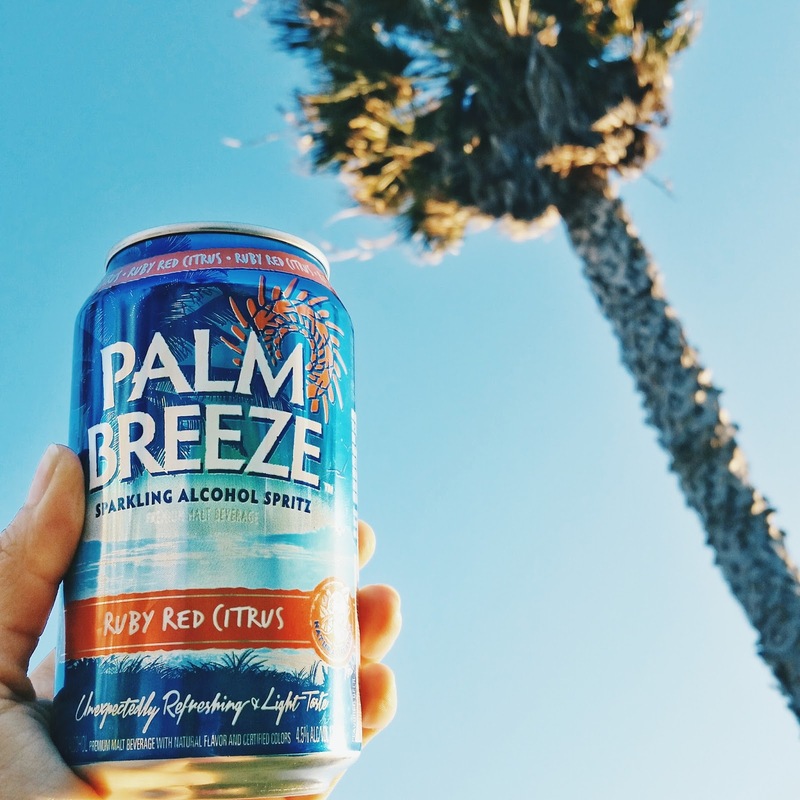 Disclosure: This post was sponsored by Palm Breeze through their partnership with POPSUGAR. While I was compensated by POPSUGAR to write a post about Palm Breeze, all opinions are my own. I'm teaming up with Palm Breeze to embrace, express, and share my "vacay every day" spirit and style. With flavors like Ruby Red Citrus and Pineapple Mandarin Orange, the sparkling alcohol spritzer is sip after sip of bubbly vacay in a can and the perfect inspiration for my vacay style! Being on The Amazing Race (I can't believe the season finale is tonight and that The Legal Team made it to the final leg!) has really shifted my perspective on how to live my life. Before TAR, every moment was a race and the never-ending multitasking and juggling left me feeling stressed and burnt out. I didn't know how to stop or when to stop. Ironically, it took a race around the world to get me to stop racing against myself. On the race, even when stakes and tension were extremely high, I couldn't help but take moments to relax, enjoy the scenery, and just breathe. And that's exactly what I did when I was in SF. Not wanting to let the momentum of the "wedding festivities high" crash, I packed resort inspired floral outfits to keep me in a vacay state of mind even during a busy work week in SF. I always feel happy and relaxed when I'm wearing happy clothes. And florals happen to be my ultimate happy clothes! I also didn't let work take away from the fact that I was in a different city. Every day, I'd sneak away for quick tea breaks to explore cute cafes in downtown SF and made it a point to go on nightly strolls at night. Sometimes, all we really need are small reminders and gestures to keep us in vacation mode. Life can be a vacation if we just let it...be!